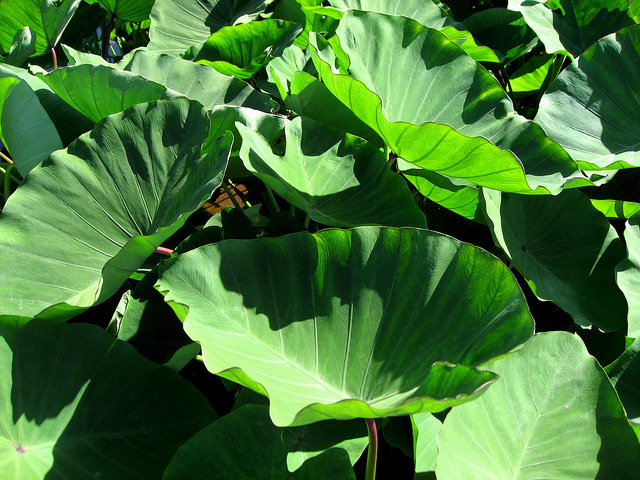 Taro leaves (kalo); photo by Shihmei Barger on Flickr (noncommercial use permitted with attribution / no derivative works). 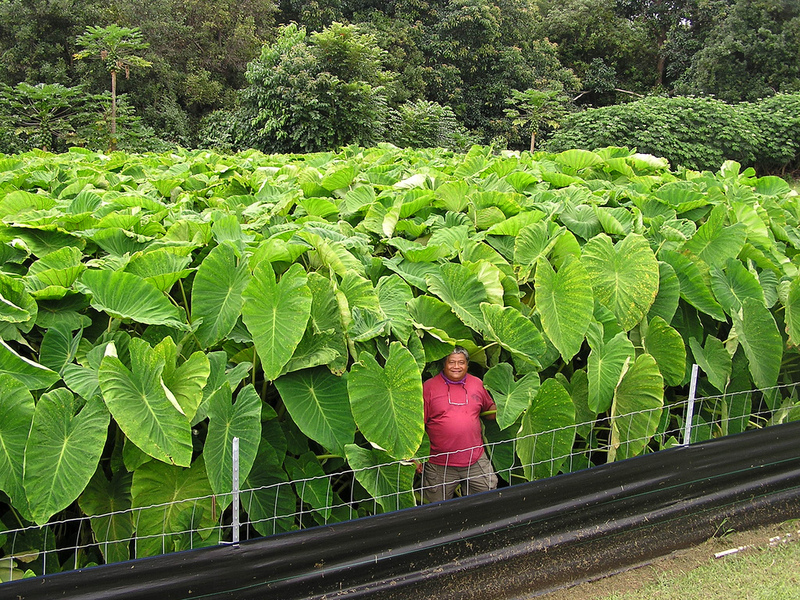 Kalo is a culturally significant plant to the kanaka maoli (Hawaii's indigenous peoples) and the state of Hawaii. Believed to be one of the earliest cultivated plants, both the leaves and roots of kalo are edible. "Kalo intrinsically embodies the interdependency of the past, the present, and the future, the essence of procreation and regeneration, as the foundation of any sustainable practice. Kalo expresses the spiritual and physical well-being of not only the kanaka maoli and their heritage, but also symbolizes the environmental, social, and cultural values important to the State. This relationship is represented in the use of the kalo plant on the crown of King Kalakaua. The state seal, established in 1959, includes eight taro leaves below the shield, honoring the connection between the health of the land and the health of the state. Today, the logo of the office of Hawaiian affairs and many commercial enterprises throughout the state use this symbol to communicate ohana, integrity, and a connection to Hawaiian culture." Taro (Colocasia esculenta); Kainaliu, Hawaii Photo by Scot Nelson/Flickr (use permitted with attribution/share alike). 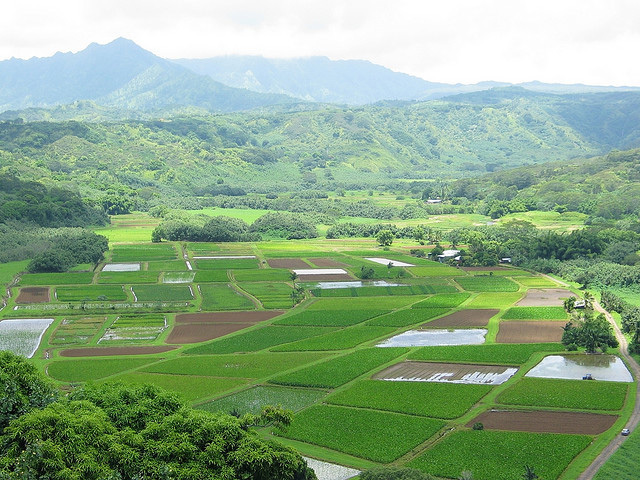 Taro fields at Hanalei Valley, Kauai, Hawaii; photo by John Hyun on Flickr (noncommercial use permitted with attribution / no derivative works).